Montessori education is rising in popularity on the northern beaches, a local director says. Karuna Montessori School director Margaret Wayland said increased awareness about Montessori, which is celebrating 100 years in Australia this year, and a wealth of information on the internet had led to a rise in inquiries from parents. In the five years since she started working for the Narraweena school, she said they’d had to turn away parents several times because there was no room for new students. They cater for 30 children aged three to size and currently had room for two three year olds. “I’ve seen a big increase in interest in Montessori in my time here,” she said. She said the Montessori approach encouraged a love of learning and independence by providing activities and materials which children used at their own pace. Many parents were particularly attracted to the focus on individuality, according to Ms Wayland. Caroline Fisher, of Dee Why, put her son Joshua’s name down for Karuna when he was 18 months old, and he started when he was three. He is now five. 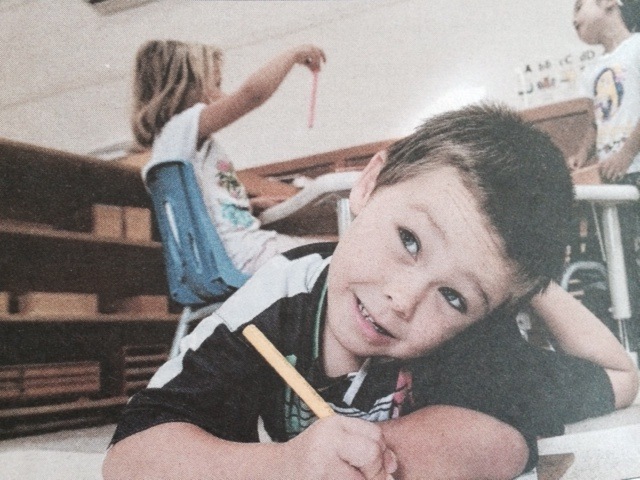 Ms Fisher recently enrolled her three-year-old, Zachary. “Out whole purpose with Montessori was to get them to love school and they really do,” Ms Fisher said.